The American Civil War was fought between the years of 1861 and 1865 and nearly every citizen living in American at the time was affected in some way. The Civil War is one of those pivotal historical events that makes an ideal candidate for genealogy study. If you had male family members, of service age, living in the United States in the 1860s, there is a good chance that you're related to someone who served in the war. With an estimated 3.5 million soldiers believed to be involved with the war effort, it is worth your time and effort to do a little research. Imagine the thrill of discovering a family member who served; uncovering important family history that was lost to time. The big question is how can you get started on your search for Civil War soldiers? This article provides some concrete steps that anyone can take to locate their family’s Civil War soldiers. Although the root cause for the Civil War remains up for debate, author James McPherson eloquently states that, "The Civil War started because of uncompromising differences between the free and slave states over the power of the national government to prohibit slavery in the territories that had not yet become states. When Abraham Lincoln won election in 1860 as the first Republican president on a platform pledging to keep slavery out of the territories, seven slave states in the deep South seceded and formed a new nation, the Confederate States of America. The incoming Lincoln administration and most of the Northern people refused to recognize the legitimacy of secession. They feared that it would discredit democracy and create a fatal precedent that would eventually fragment the no-longer United States into several small, squabbling countries." How can I find Civil War Soldiers in my Family? Anyone whose family lived in the eastern half of the U.S. in the mid-1800s owes it to themselves to at least make a cursory inquiry. Outlined below are three simple steps to help answer this basic question about their family’s participation in the war. Look for young men in the age range of 17 to 45 during the war years of 1861 to 1865. The vast majority of soldiers were under 30, but some boys as young as 12 served as cavalry buglers or drummer boys and some men in their 50’s and 60’s enlisted as privates. Create a list of potential candidates that spans this age range. The 1860 U.S. Federal Census is the main research tool for identifying potential soldiers. This census can be accessed free of charge at FamilySearch.org. Find your family in the 1860 Census and examine the ages of each male family member. The area of the country they were living should provide clues as whether they would serve in the Confederate or Union army and hint at state militia affiliations. Soldiers tended to join units close to where they were living. If you strike out here, your work is done. Otherwise proceed to the next step to continue the search. Listed below are four of the largest searchable Civil War websites available to search for your military serving kinfolk. The second two are subscription based, but if you happen to be subscribed already or want to be, this is your chance. If you are doing a large amount of research, it might be worth signing up for one or both of these services. Otherwise, stick to the free sites. The U.S. Parks Service provides an extensive searchable database of more than 6 million men serving both sides of the conflict. 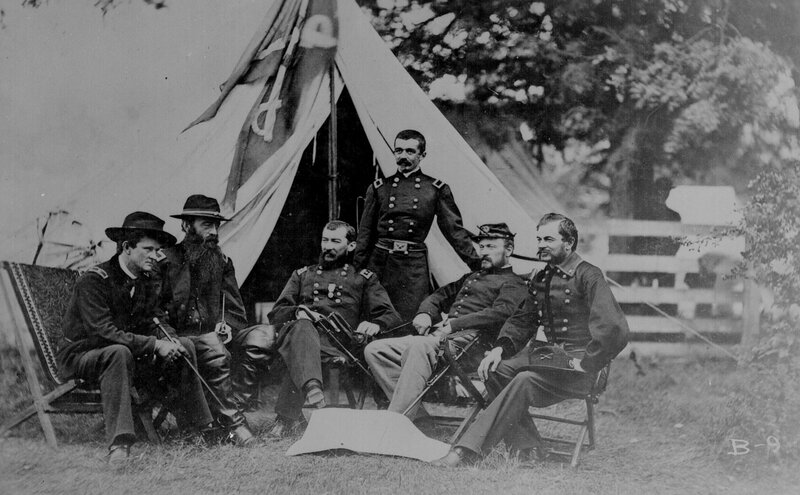 This database can be searched free of charge at https://www.nps.gov/civilwar/search-soldiers.htm. Once you have located your Civil War soldiers, there are some excellent resources available for further study. Military conflicts generate a tremendous amount of paperwork considering the logistics of signing up, supplying, managing, paying and discharging large numbers of people. A significant amount of valuable information can be extracted from the various types of military records kept. The U.S. National Archives are the primary source for many military veteran records. You can order Civil War Service and pension records from the National Archives online or by mail for a fee. To use this service, you will need the soldier's name, regiment, state and allegiance. If ordering a copy by mail, you will need to download and use NATF Form 86. Fold3 is the web's premier collection of original military documents, with more than 460 million records from the National Archives and other partner locations. Fold3, in collaboration with the National Archives, has digitized Compiled Military Service Records (CMSRs) from most states. Fold3 is a subscription site, but may be worth the several dollars a month fee if you have a lot of military research to do. You can get free access to Fold3 at Family History Library affiliated Family History Centers. Fold3 also has a vast collection of pension records, which document requests for military pension benefits. Some of the most detailed pension records come out of benefit denials as attempts to justify benefits can be quite detailed. Civil War records tend to be scattered across federal, state and local repositories, so there is not one single definitive source to turn to. Cyndi’s List has an extensive listing of Civil War websites http://www.cyndislist.com/us/civil-war/ to help further your research. I wish you great success in your search for Civil War ancestors.